Another Aston Martin Racing car to have a disastrous race this weekend was the JMG Bilstein V8 Vantage GT4 of Aussie racers Jeremy Gray and Andrew Miedecke at the Phillip Island 101 round of the Australian GT Endurance Championship. 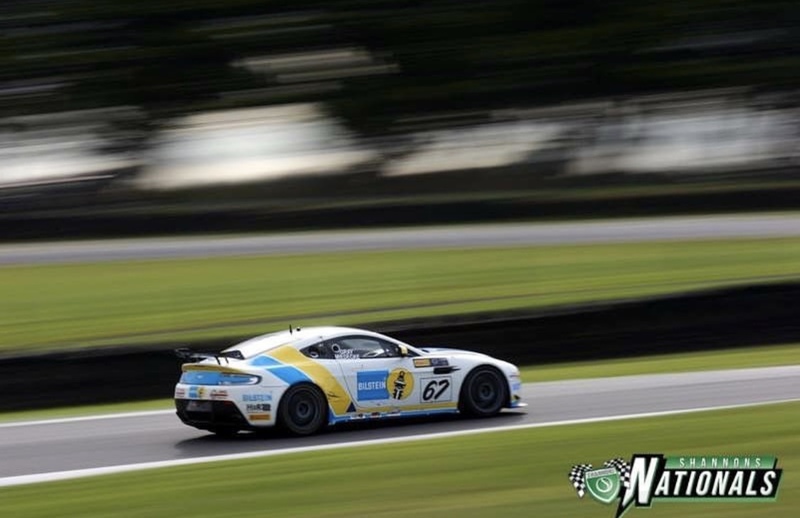 With the GT4 Championship leader racing solo for all of the GT rounds, he shared his #67 car again with Andrew Miedecke for the second endurance round of the season. 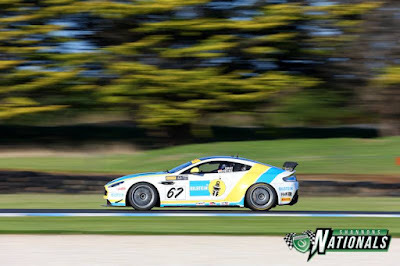 Having not fared so well in the opening endurance round at the The Bend earlier last month, everything was looking promising for the duo in the Friday/Saturday proceedings as the duo claimed P2 and P3 in class during the two Free Practice sessions. Qualifying was even better as first Gray secured P2 in Q1 and Miedecke P1 in Q2. From its starting position of P17 overall, the #67 car was P2 in class after the race had already been red flagged due to a heavy accident with a Ginetta GT4 a few laps earlier and were following the #48 KTM X Bow when the #48 suddenly left the track at turn 1 and crashed heavily into the tyre wall. For a reason none other than the assumption of there being debris on the track, Gray in the #67 car followed the X-Bow to the very scene of the 348's accident to obliterate his front near side corner in doing so. With turn 1 being extremely fast, this accident was the cause of the race's second red flag - a race that was ultimately shortened in length to accommodate the two accidents. Thankfully, neither driver was hurt in the incident. 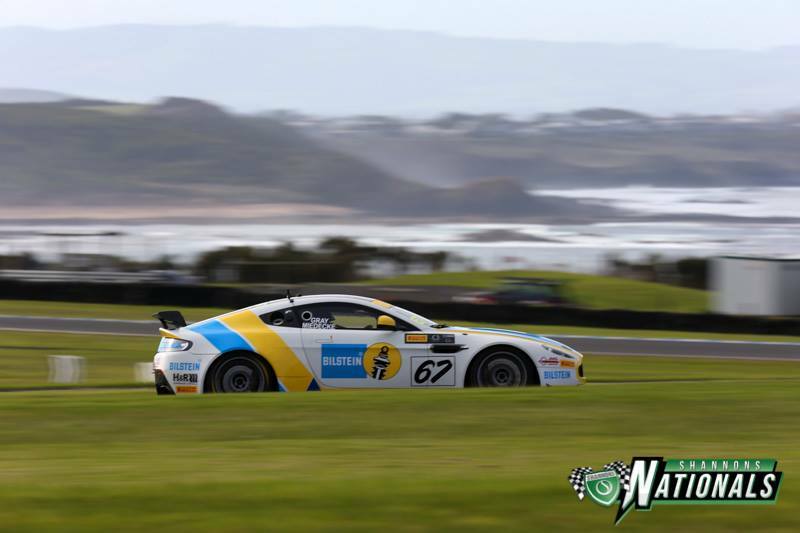 Ironically, the #48 Glen Wood car is Grays closest GT4 Championship rival so championship gaps have been relatively maintained as a result. 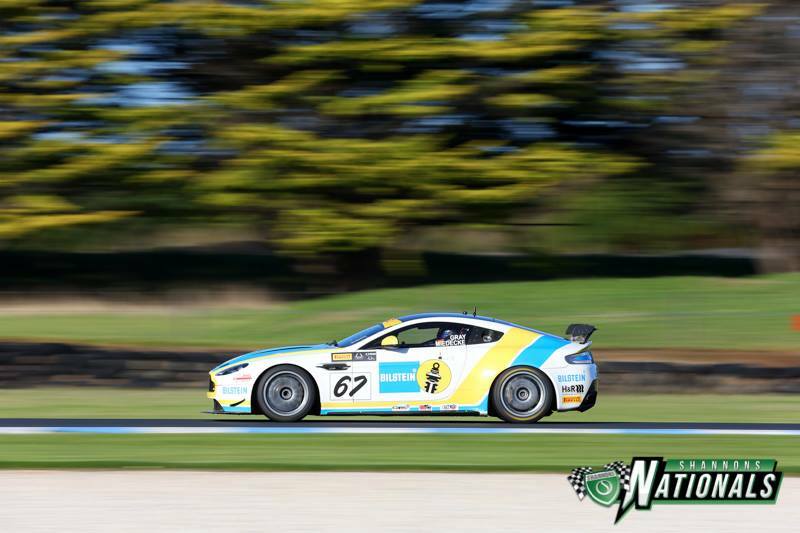 The next round of the Australian GT Championship will be at Sydney Motorsport Park in August when we hope the Miedecke V12 Vantage GT3 may indeed reappear!